Used, working condition. Can be wired for 110v or 220v. New in box. Box got a little water on the outside, so dealer didn't want to sell it. 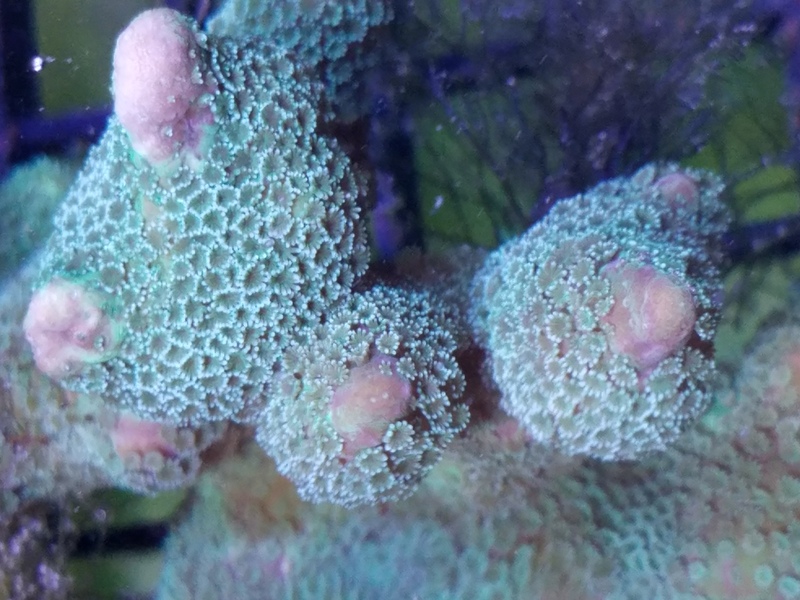 This is a fast growing SPS coral, great for first timers. It will multiply and grow. 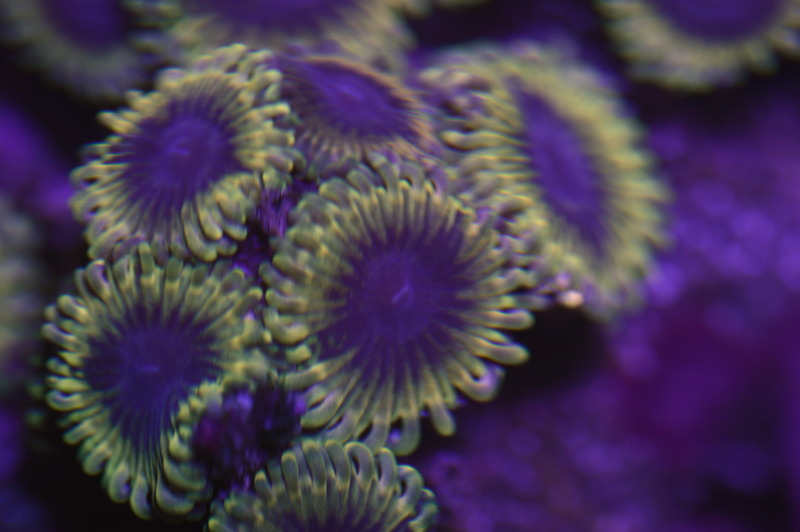 These are all colonies, the smallest of which is 2 x 2 inches up to 4 x 4 inches. The images shows the 4 x 4 to the left, 2 x 3 on the right, others available are from the same colonies. The image is under LED lighting but have them under T5s as well. It does well under either lighting. Please pick up by 2pm. 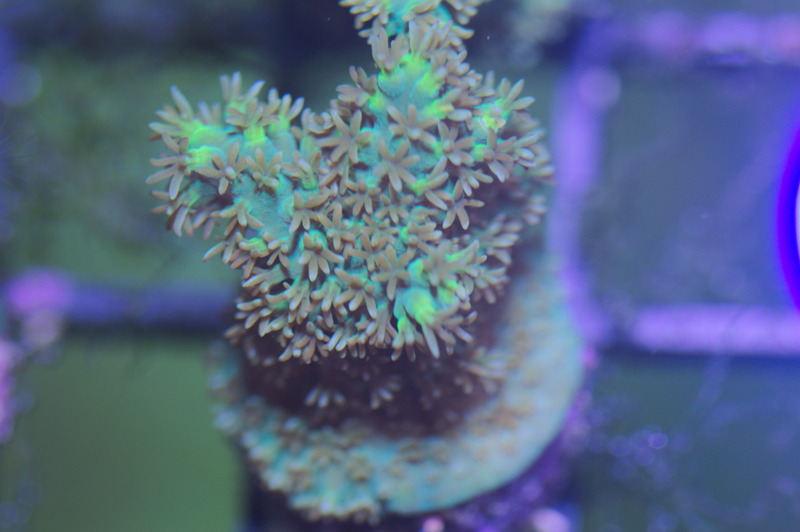 This aussie ricordea is a healthy, fast growing morph with a dark blue body and orange tips with green mouth. It has been in my system for over 3 years. I have unmounted and some attached to substrate. Price is per mouth. Please pick up before 2pm. 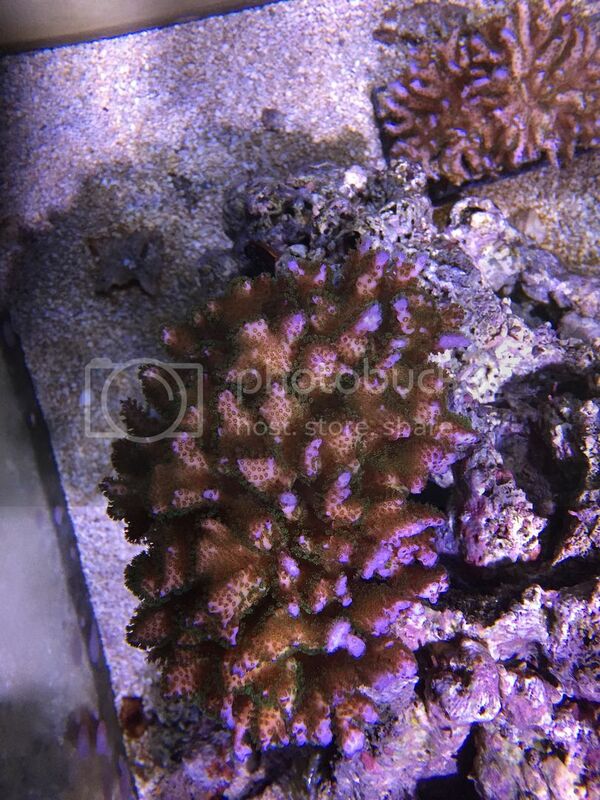 First image is a close up of a single polyp, the second image is of the mother colony. Would recommend careful placement on isolated rock. Please pick up by 2pm. 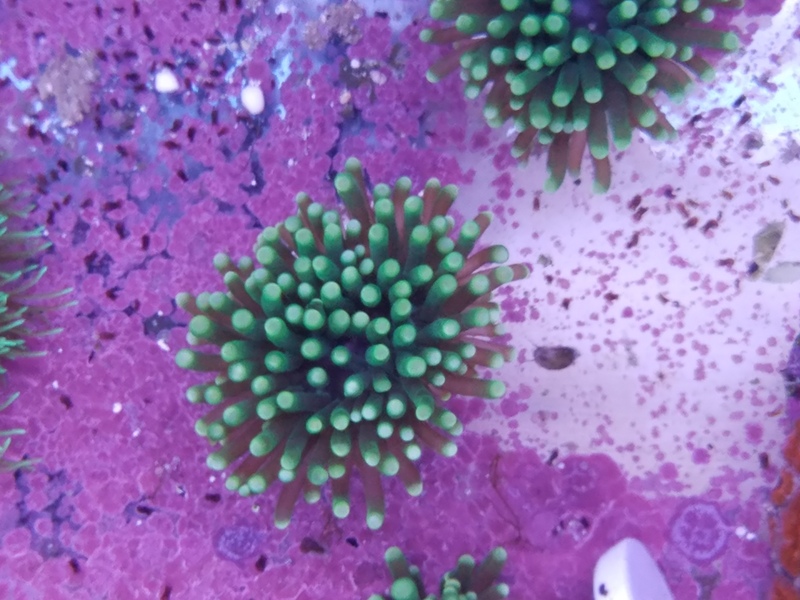 Nice green base with purple tips and polyps. This is a rather hardy piece. 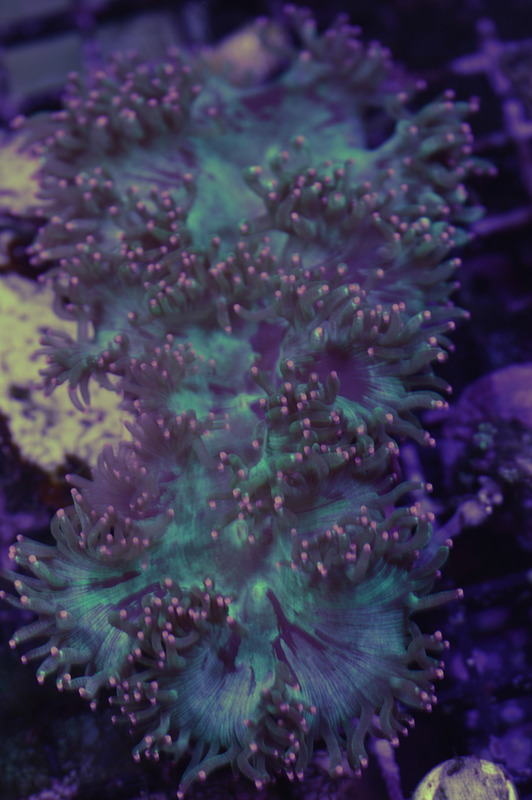 Always has polyps extended. 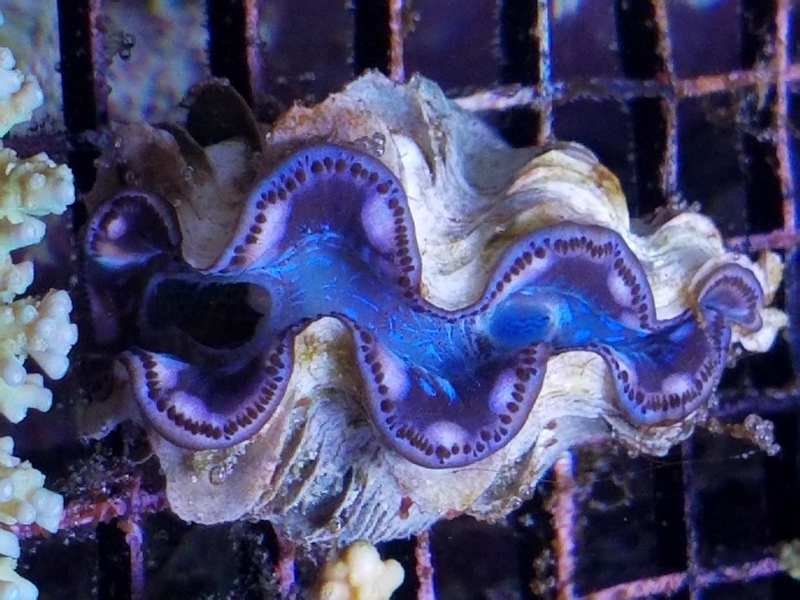 Frag is about an inch. I had to brighten up the picture a little bit, because this piece is a really deep dark blue. The tips on these is a blue and purple under halides. In the picture it's more of a pink due to the frags being under AI LEDs. 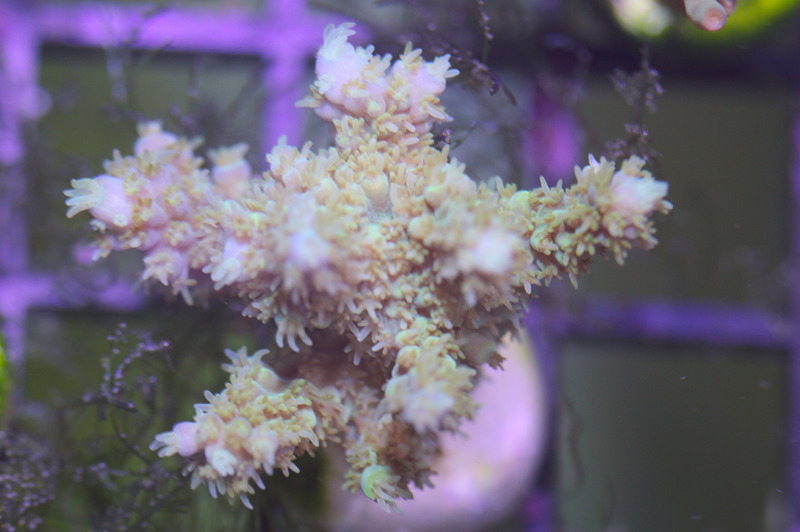 Polyps are white. 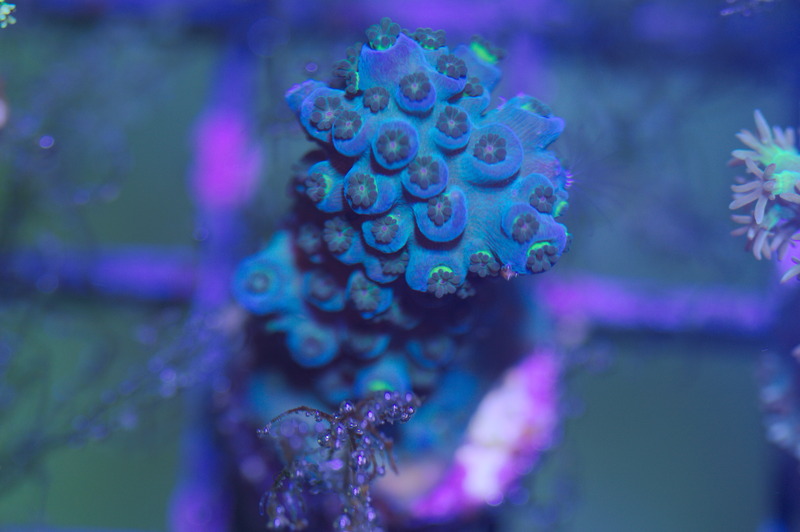 Frags will be multi-branched, on plugs. Light blue under 10k, Dark blue under 20k with orange/red lashes. 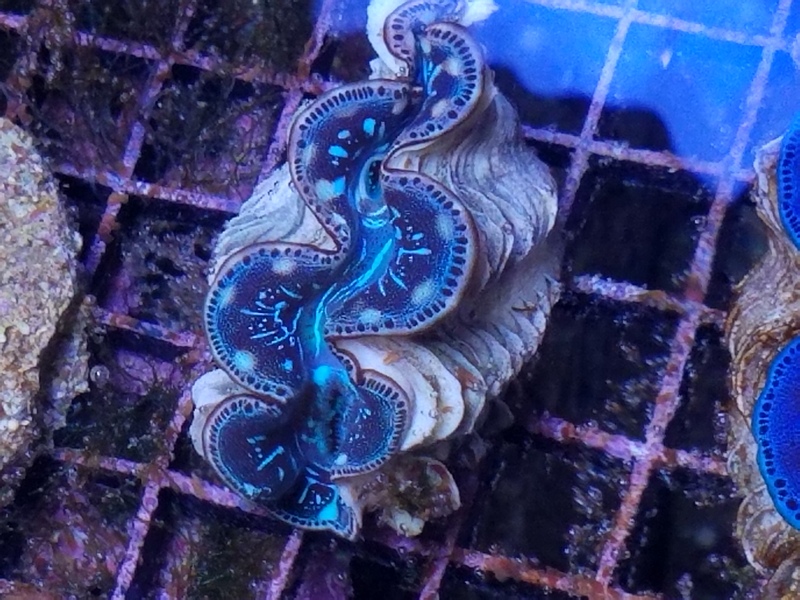 I didn't want to risk killing any, so I made the frags larger than usual. 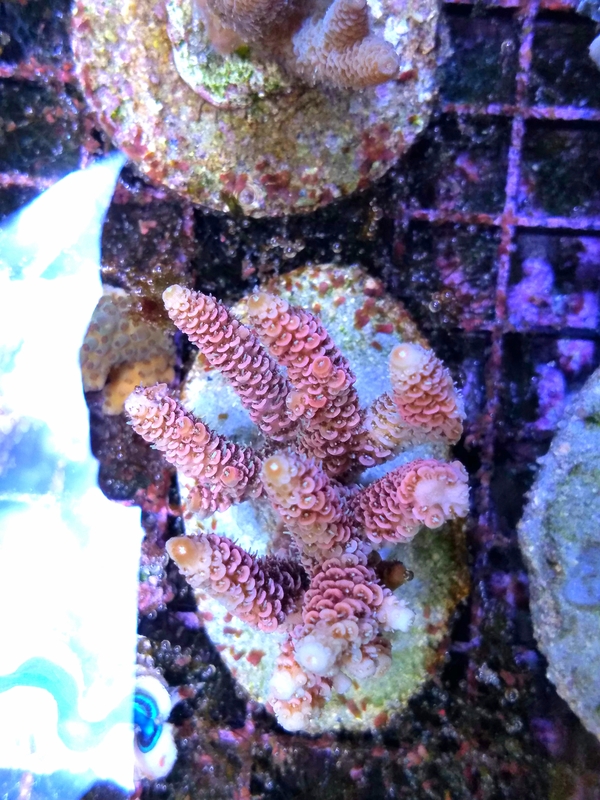 Frags will be on average 10 polyps. I couldn't get the photo edited the way I wanted. Tips are a brighter pink, and the skin is a light blue color. Healthy, eating. Been in store for over a month. Must be reserved prior to me departing to the swap. Will not be bringing it otherwise. 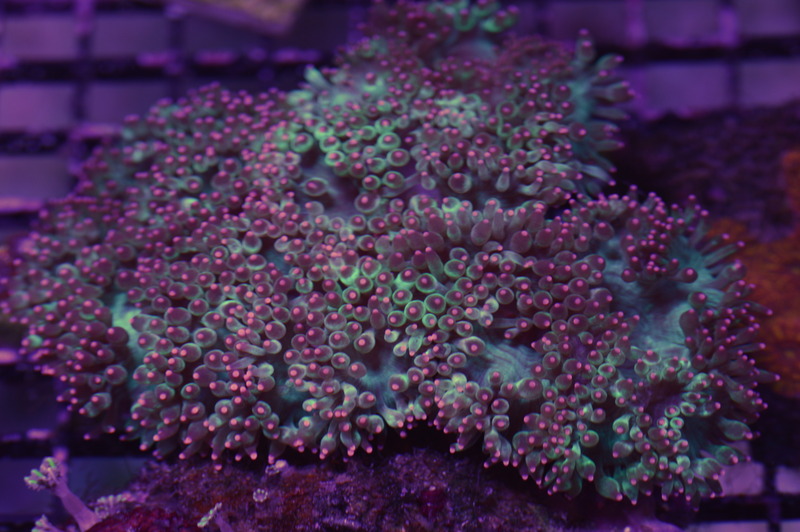 Nice bright pink tips with green flesh. Cone bottomed (supposedly more durable). Been in the store for over a month, eating well. Must be reserved before the swap, I will not be bringing it otherwise. 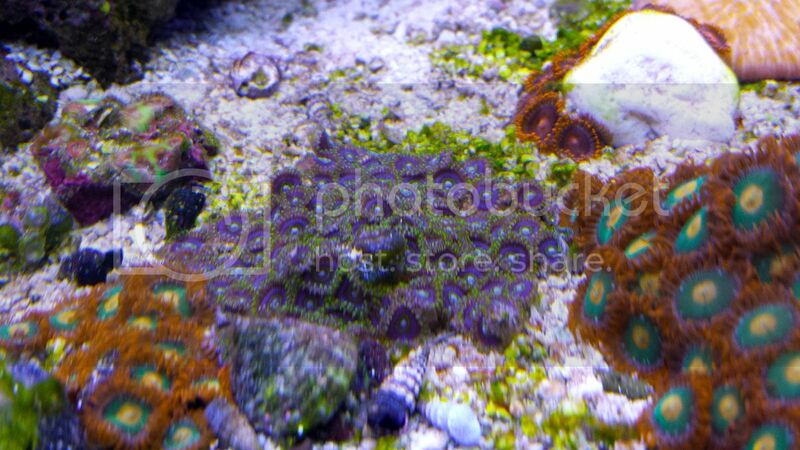 Coral Pets exclusive. 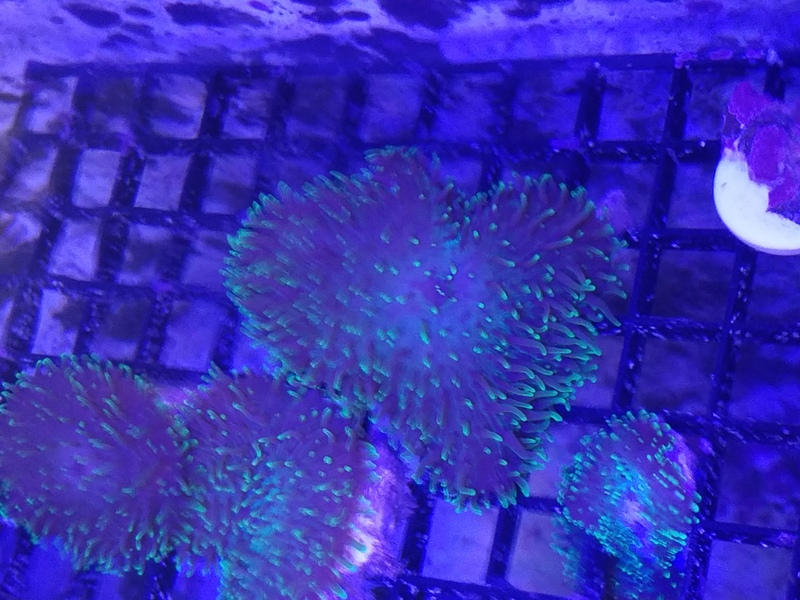 Just fragged these for the first time. Colony is from the wild. Picture doesn't do it justice. 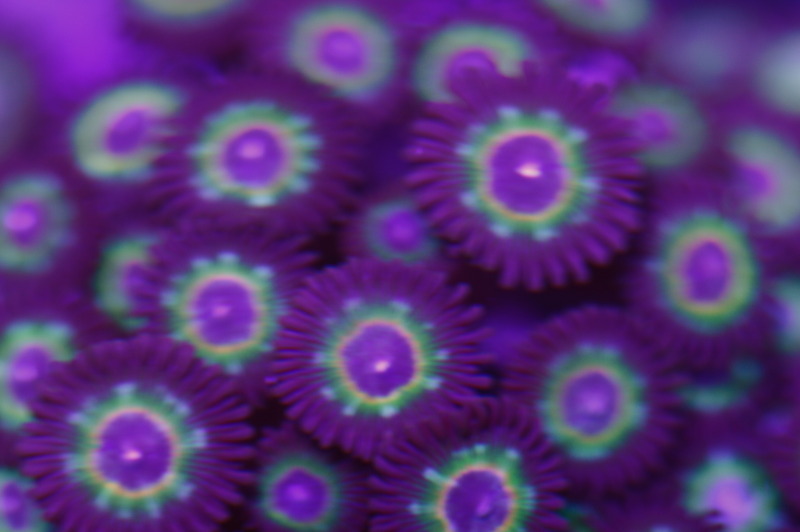 Centers are blue, not purple. Then the green with light blue spots. The ring is an orange and yellow. 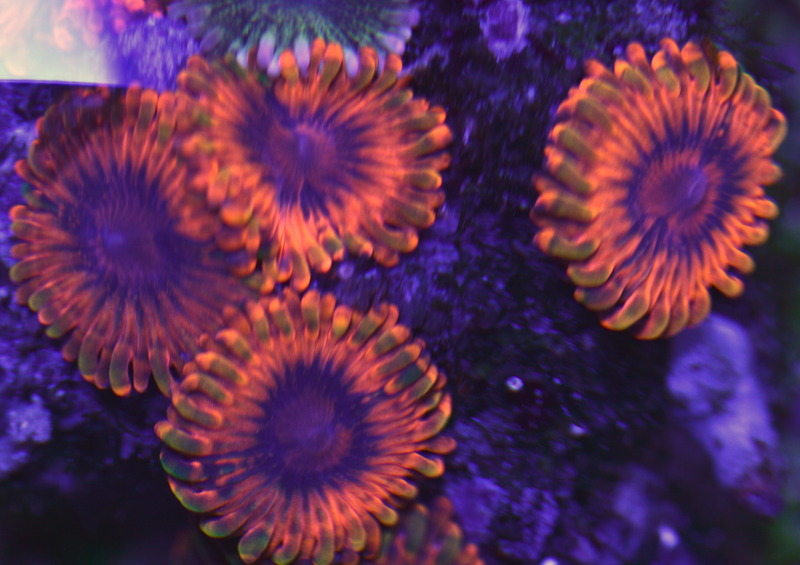 Frags will be at least 2 polyps. Bright Yellow, under a 10k range, black centers. Super Bright with Orange and green lashes. 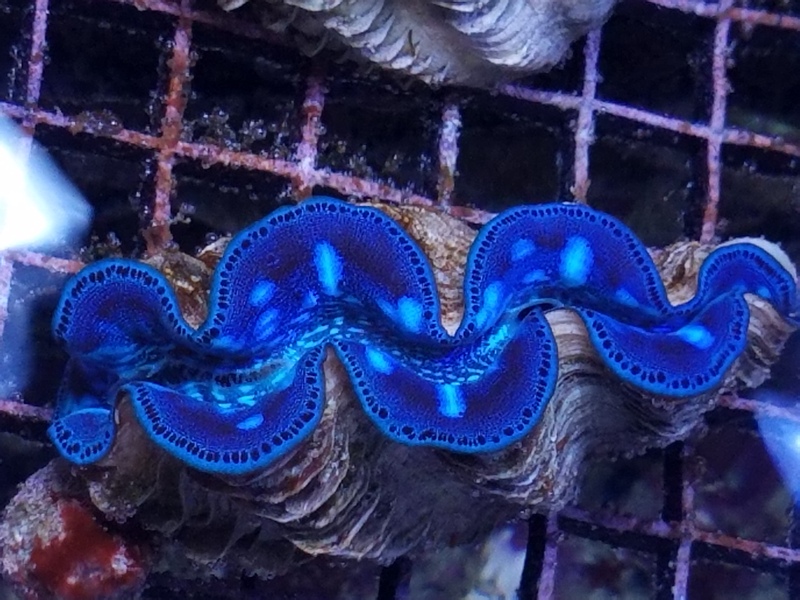 Price per polyp. Price for entire colony. I have a few of these, so you may not get the exact one pictured, but will be very similar. Large Fuzzy Green Mushrooms. Mounted to live rock pieces. Price per Mushroom. 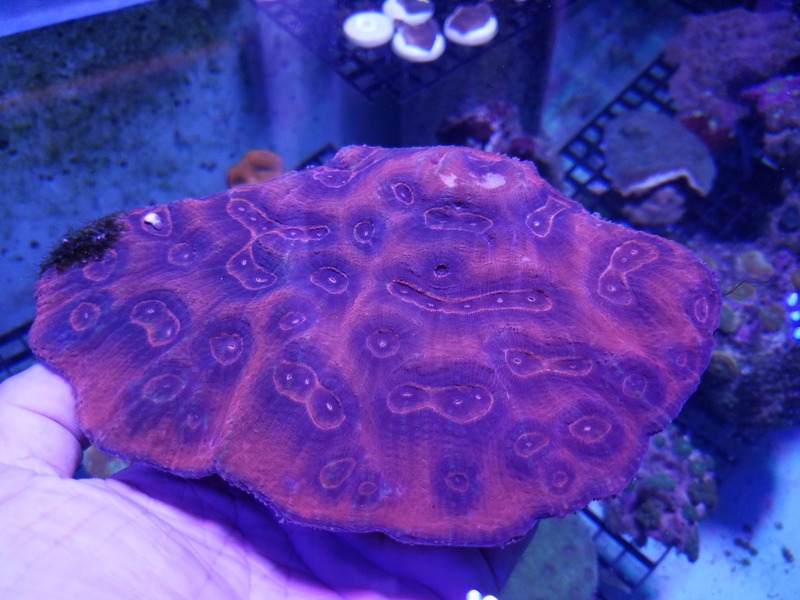 If you want a larger rock/colony of 4 or more, just let me know. 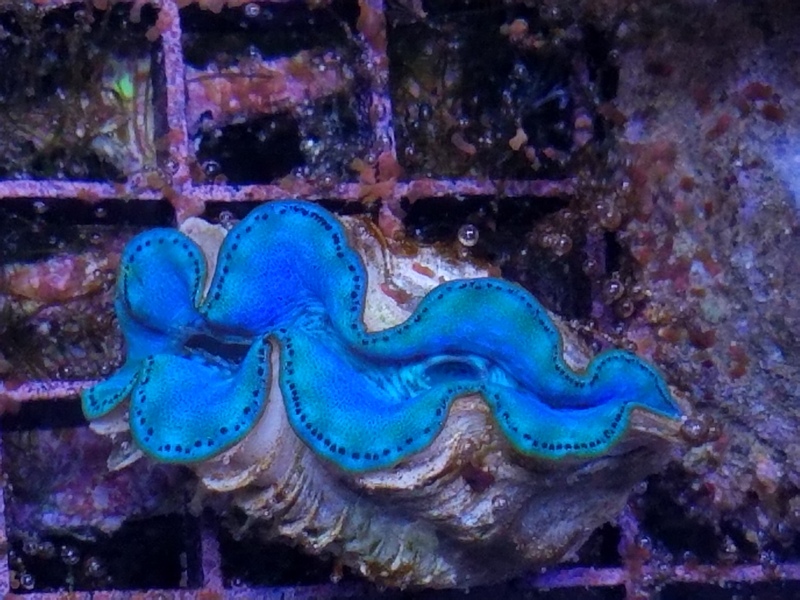 Blue Maxima Clam. Eggcrate is 3/4" squares, to give idea on size. 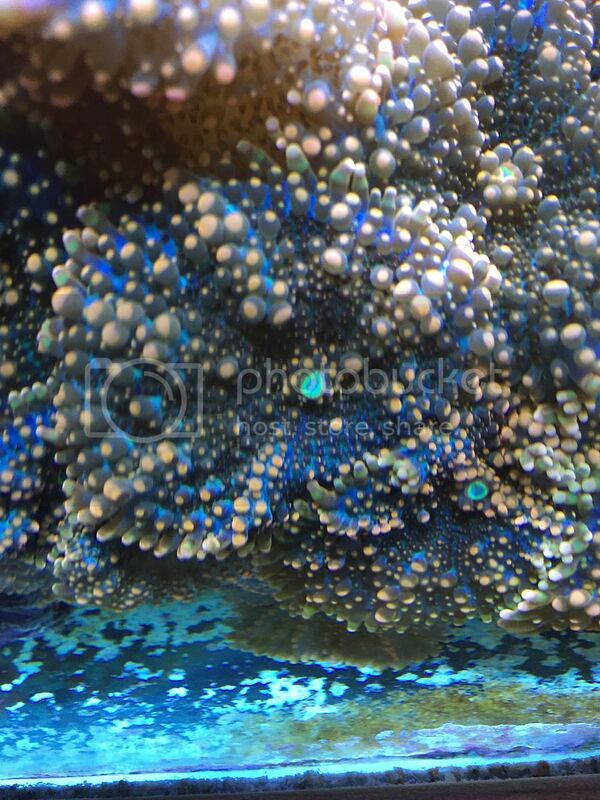 Sky Blue Polyps. 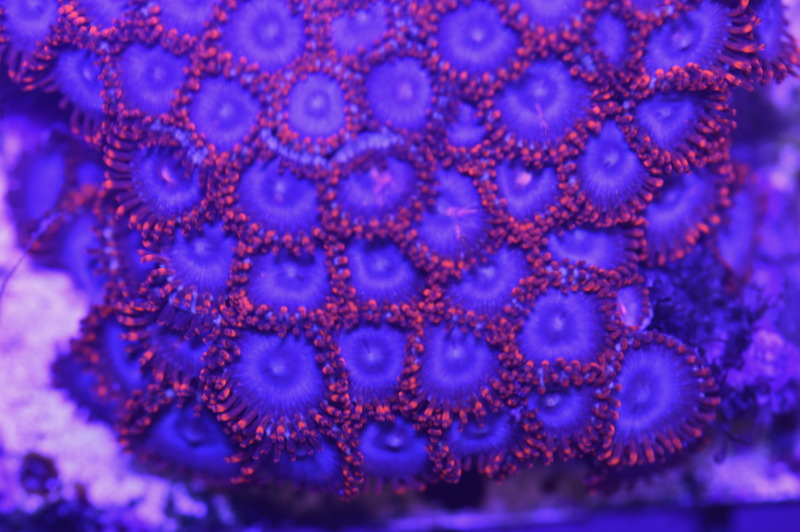 Frags will be approximately 1"
Nice frag of some beautiful, true purple hornet zoas. 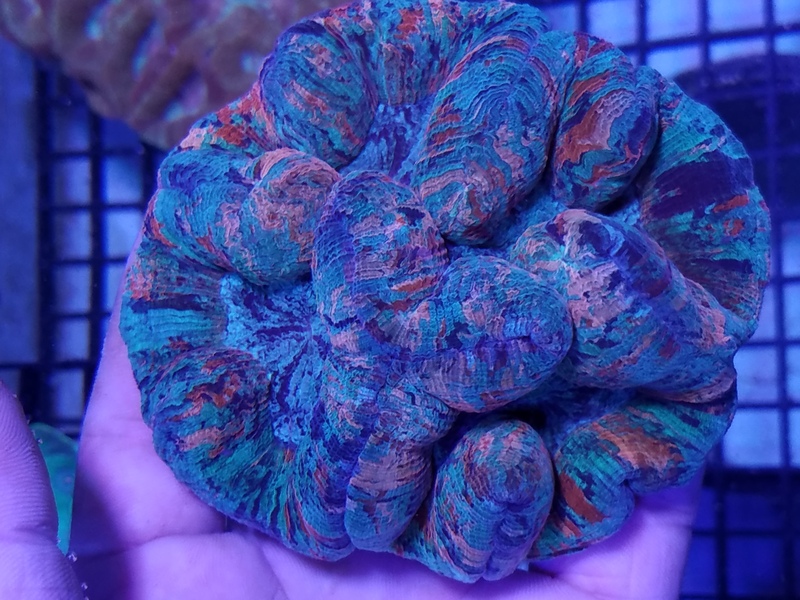 I'll get you at least 8-10 polyps.